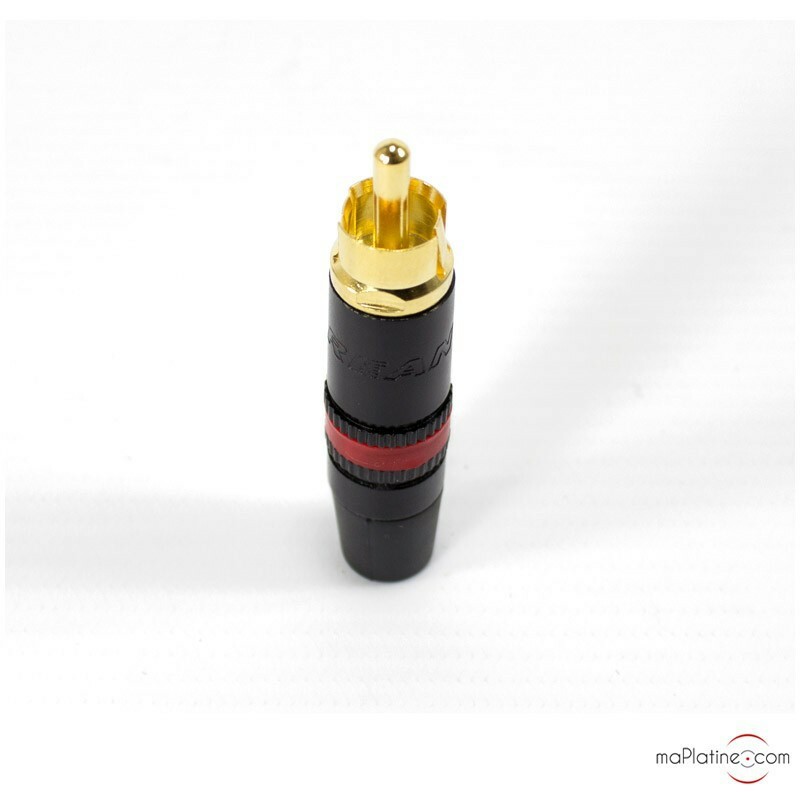 These gold-plated RCA plugs are of high quality and yield great results for phono cables terminations. 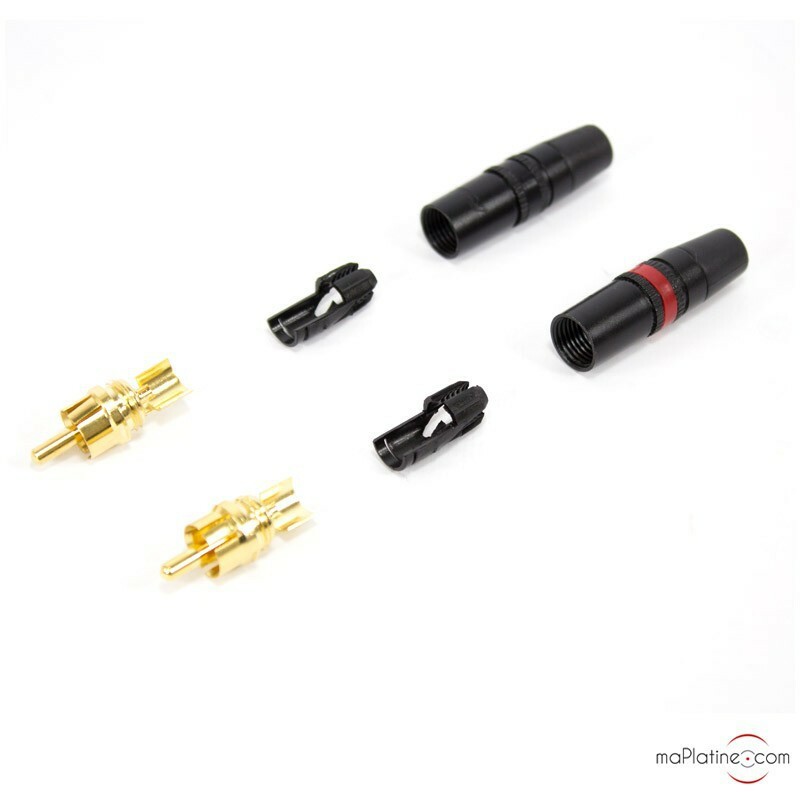 Their low resistance and quality of their contact and PTFE insulation increases the transparency and definition when the OEM vinyl turntable connectors are replaced. 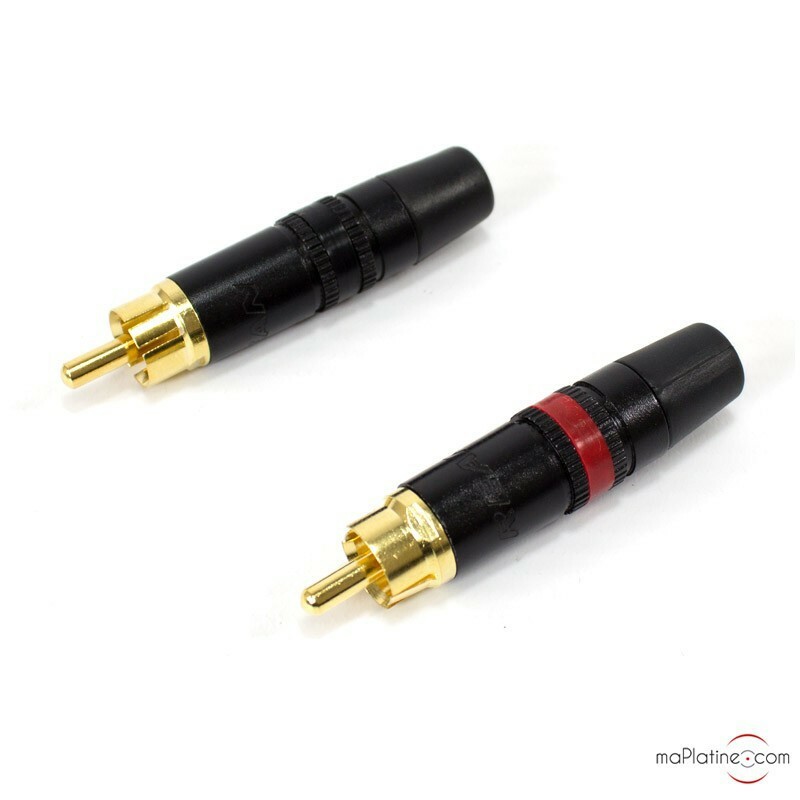 They are factory-fitted on many high-end turntables as well as many very high quality phono cables. 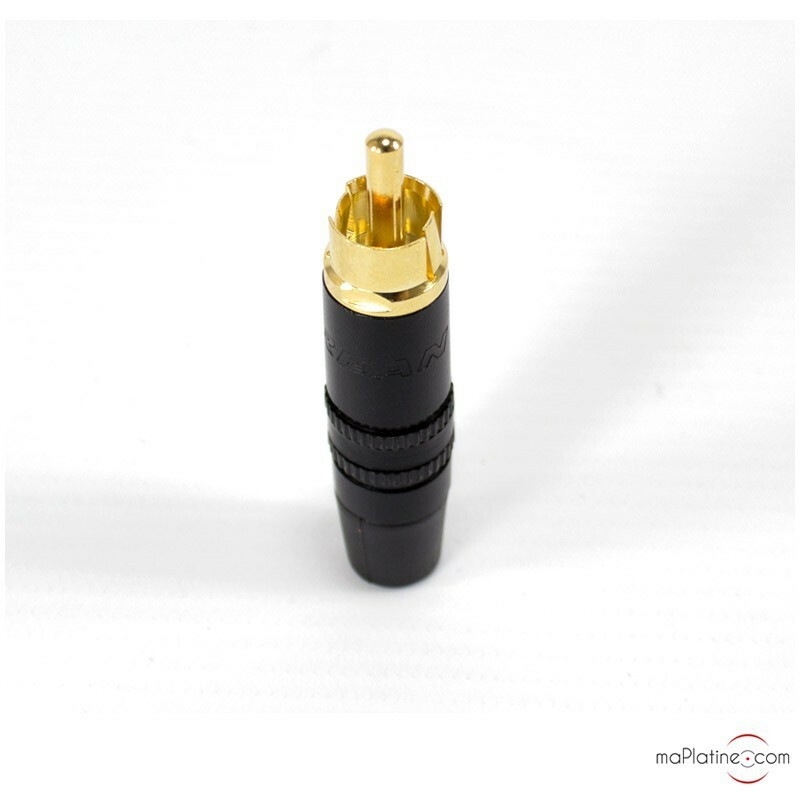 Comes with 10 cm of Neutrik silver welding.